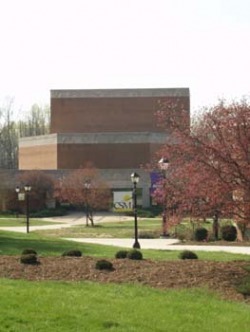 The College of Southern Maryland Fine Arts Center produces a number of In-House theatre productions, music concerts, and dance performances. Auditions for In-House productions are generally open to the public, as is participation in a number of the musical ensembles at CSM. 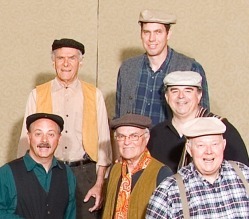 The Fine Arts Center also hosts a variety of other organizations' arts events throughout the year. The Tony Hungerford Memorial Art Gallery, which is open M-F 9:00 - 5:00 p.m. and during events at the Fine Arts Center. Please call 301-934-7828 to arrange for other hours if necessary. Artists can be considered for an exhibit in the Tony Hungerford Memorial Art Gallery by sending slides, CD, or glossy 8"x10" photos of the work to be considered. Please include an artist's statement and a resume (including education, training, and exhibition history). Five exhibits are selected each year from many submissions, and the Gallery schedule is determined two years in advance. Please visit our web site for more details on this process. The Walter Grove II Memorial Art Gallery features works by exceptional CSM students working in visual mediums. It is open during CSM operating hours. Please contact the Box Office for more information. Additionally, the Fine Arts Center offers a Ward Virts Concert Series on the Prince Frederick campus throughout the school year, and the Twilight Performance Series in the summer on all three campuses. New opportunities arise at all times, so keep an eye on what's happening at the CSM Fine Arts Center.